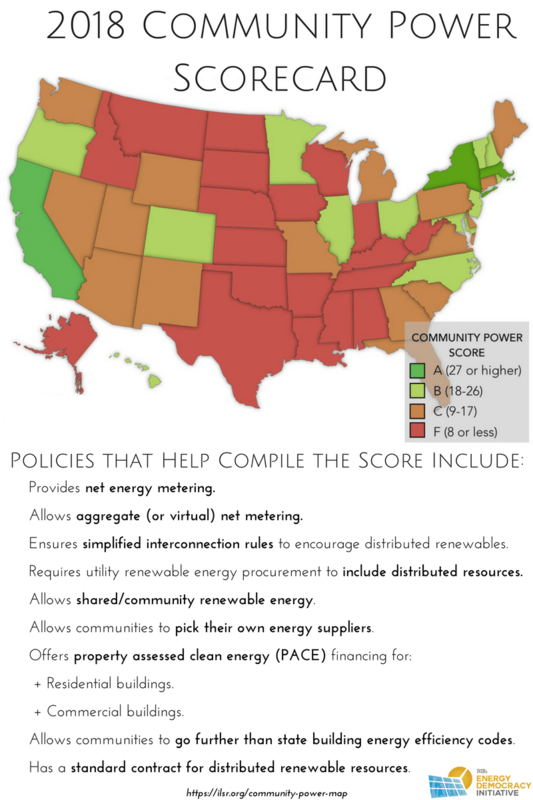 Each year, the Institute for Local Self-Reliance provides a score for each state’s energy policies based on how they help or hinder local clean energy action. 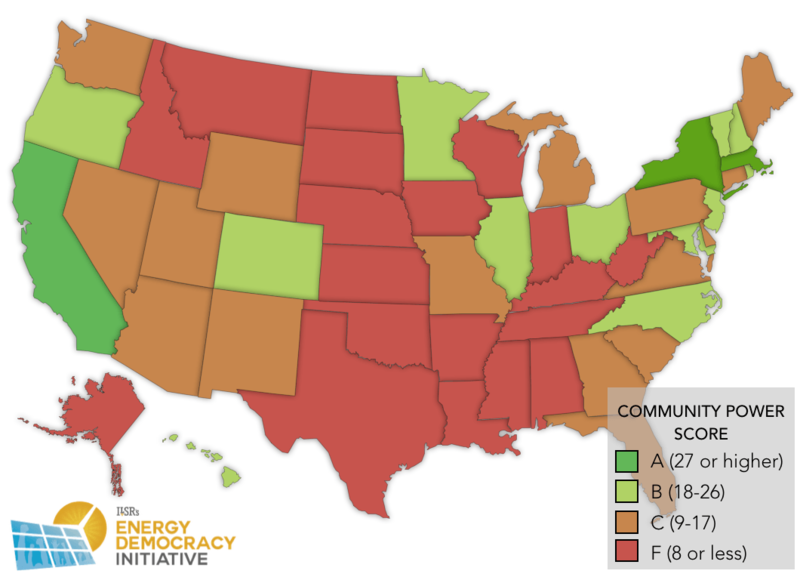 In 2018, 21 states had a failing grade, 17 were mediocre, 11 had a passing grade, and just 2 excelled at enabling residents to act individually and collectively to take charge of their energy future. Explanations of each policy are linked the first time they appear. The scoring methodology is on our Community Power Map site. Indiana has a Community Power score of 5 out of 36. The state offers net metering and above average interconnection policies, but little else. It doesn’t have a renewable standard requiring utility renewable energy procurement to include distributed resources and it lacks policies allowing communities to provide financing with property assessed clean energy, to pick their energy suppliers, or encourage shared/community renewables. The state also lacks local flexibility in setting building energy codes or a standard purchase contract for renewables.